Archive of posts filed under the Fun category. Damien Ober’s new book, “Doctor Benjamin Franklin’s Dream America,” published by Night Shade Books of New York, sounds interesting. Here in the Washington, DC area, we have a new Franklinian spot: congratulations! Check out the City Paper Review. 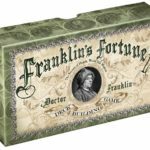 Happy 309th Birthday Greetings from Dr. Aziz S. Inan, Ph.D. of Portland, Oregon: Dr. Inan’s 309th-Birthday Brain Teasers Thanks, and Happy Franklin’s Birthday! Can you find the four differences between these two happy-birthday messages? Click on each picture to bring up an expandable version. Here is version #2: Many thanks, and Happy Franklin’s Birthday to Diane Guntzel of Clinton, Iowa! I like this take on Franklin’s daily schedule, especially “whisper ‘Time is money’ to a bird.”… Benjamin Franklin’s Daily Schedule Will Make You Feel Worthless Thanks, and Happy Franklin’s Birthday to Ben Mangold of Rockville, Maryland! Professor Aziz S.Inan, Ph.D. has provided some amazing numerical transpositions around Dr. Franklin’s upcoming birthday –here is the link – many thanks! He also provided this picture, with the birthday year 308 hidden inside: Here is also Professor Inan’s home page.